Also, HiEx is now on patreon! I have a new set of markers so while I'll still post artwork on Tumblr and such, there will be some Patreon-exclusive sketchbook scribbles and fan requests posted as they are shelled out. Thank you! Everybody become a patron, it will make you happy, increase your standing in whatever community you participate and all of your baked goods will be extra tasty! And if that's not incentive enough, also extra side art and the knowledge that you're supporting a deserving artist and all round great person! 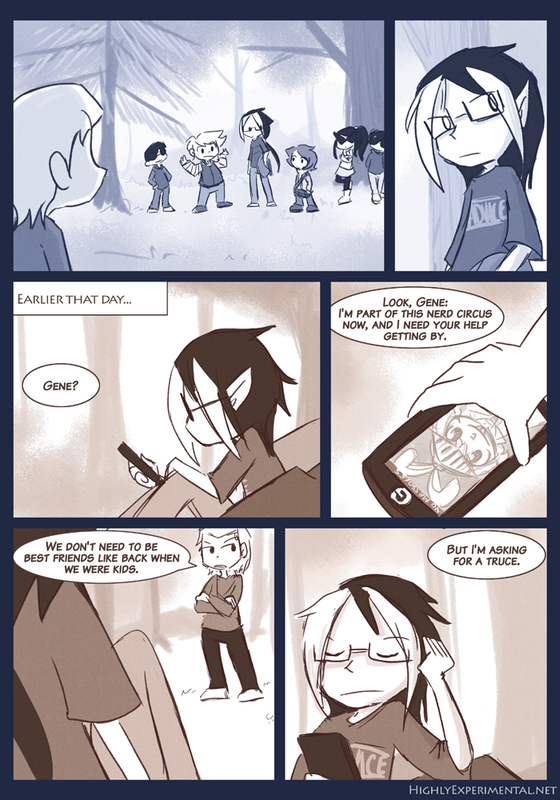 As for the page...CECILE PHONE!!! Also, Nerd Circus may be my new favourite band name. If I had a band. Or played music.